Jonon is one of the first bands I noticed after arriving in Ulaanbaatar. I saw them perform at a concert featuring the yatga (an Asian zither found in Korean, Japanese, Chinese, and Mongolian folk music), sponsored by the College of Music and Dance. Jonon follows in the footsteps of Altan Urag, whose members also attended the College of Music and Dance. 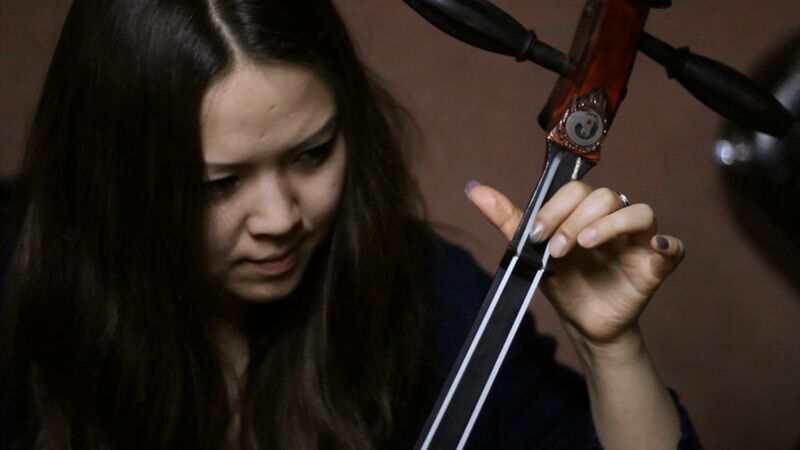 They are blending traditional Mongolian instruments and sounds with drums and electric bass to create a new style unique to Mongolia. The band’s 8 members play the yatga, 3 morrin huur (horse-head fiddle), yoochin (dulcimer), flute, jaw harp, drums, and electric bass. They also include khoomii (throat singing) in some of their tracks. About a year ago, the band teamed up with rapper Gee for an album titled ‘Mongolz’. The album blends hip hop, rock and traditional Mongolian music producing a sound that you can only find in Ulaanbaatar. They let me film some of their rehearsal the other night. The following song is called ‘Baruun Mongol’ or ‘Western Mongolia’. The instrument at the very beginning is called a jaw harp, commonly used in shaman ceremonies throughout the country.